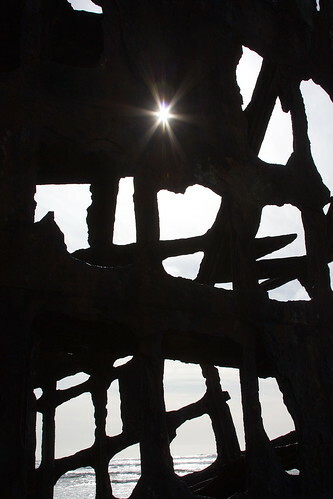 Starburst in the Peter Iredale, a photo by The Bacher Family on Flickr. 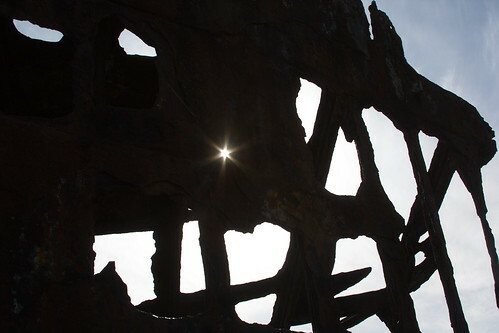 At the wreck of the Peter Iredale on the beach at Fort Stevens State Park, I noticed that if you positioned yourself just right, the afternoon sun would make a nice starburst as it shown through a hole in the rusting hulk of the old ship. 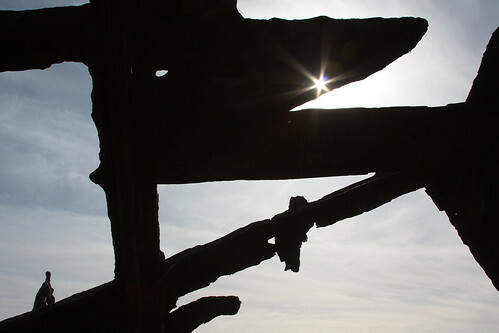 The key was to find the smallest hole possible, then to position your camera just right, and to frame the rest of the image in an interesting way as a silhouette against the bright sky. Even then, I encountered a great deal of variation in the quality of the starburst and the amount of lens flare around it. I think this one's my favorite, because the starburst is the most perfect in quality, and the hulk of the old ship forms an interesting pattern of intersecting iron ribs. Which one do you like best? I like the top one best. 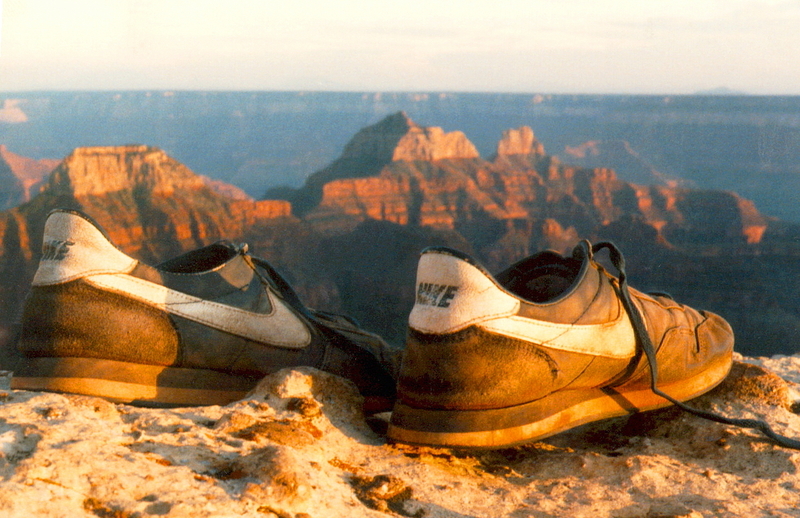 Very nice, Kevin!